Here’s a real surprise packet for lunch. 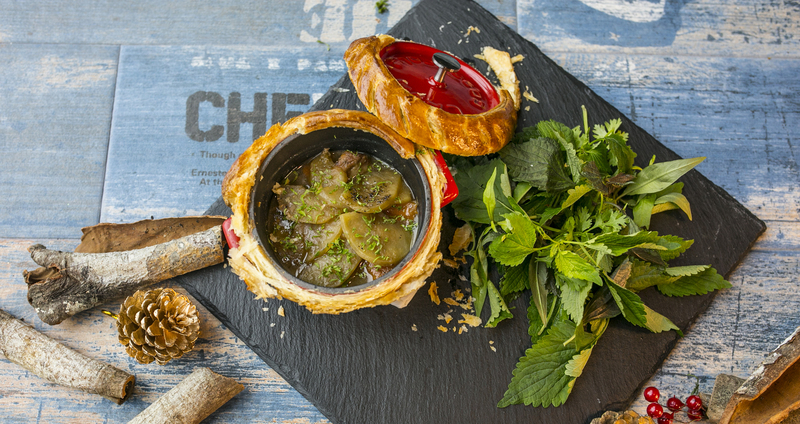 Somewhere down a side street in an industrial zone of District 7 is Q.itchen Factory — a tapas bar and restaurant that offers a locavore experience. The locavore movement aims to connect local farmers and food producers to the people, and with local ingredients, apply modern cooking techniques for new and innovative dining experiences. Anyone familiar with the F&B industry in Vietnam will know Singaporean company Q.industries which has been offering products and services to hotels and restaurants here since 1994 — they are the ones behind Q.itchen Factory. Don’t get turned off by the location, Q.itchen Factory is actually quite easy to find from District 1 and Phu My Hung via Nguyen Van Linh Street in District 7. The set lunch menu changes regularly, usually with a choice of two (VND190,000) or three (VND220,000) courses. An example of the three course menu is a crispy baby squid with garlic aioli starter (magic), grilled pork belly (smokey and tender) with crushed potatoes and tonkin blossoms as a main, and a Calvados apple tart with chantilly cream for dessert (dangerous). The set lunch doesn’t include a drink but for just VND30,000 extra, you can have a soda chanh, or for a tad more, a latte (VND55,000) which is close to the best coffee you’ll get in District 7. For VND220,000, this set lunch is excellent value, served by prompt, professional staff in a new and modern industrial-like restaurant with an open kitchen, a concept that works given the surrounding neighbourhood. If this place doesn’t take off, I’ll eat my non la and throw open my job to anyone who wants it. Open for lunch from 11am to 2pm.